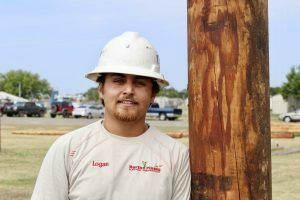 (WACO) – Fear of heights may be one of the most common phobias, but for Texas State Technical College student Logan Godino, being up high has become his second home. Godino, from Canadian in the Texas Panhandle, is a candidate for graduation for an Electrical Lineworker Technology certificate at TSTC. He is scheduled to graduate at 6:30 p.m. on Friday, Aug. 17, at the Waco Convention Center. Godino, 19, currently works part-time at North Plains Electric Cooperative in Canadian with his father. 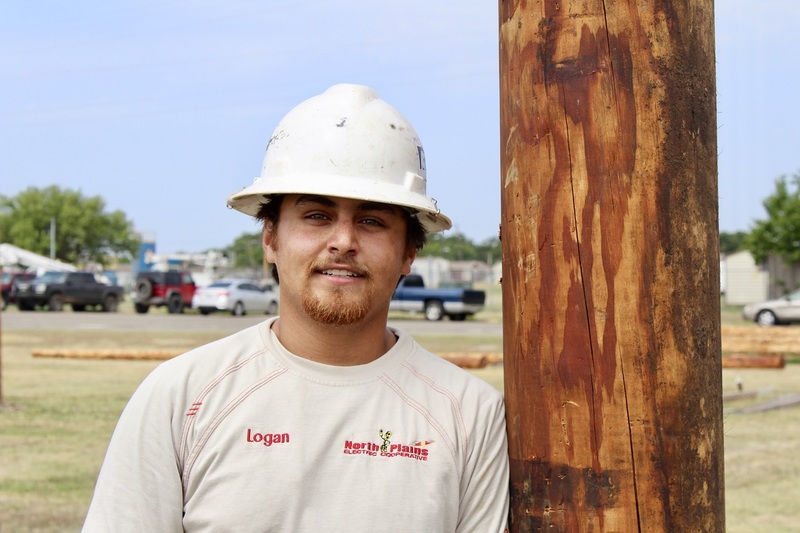 After graduation, Godino will move to the office in Perryton as an apprentice lineman. While Godino has always known that he wanted to be a lineman, his first week at school was different than most. TSTC Electrical Lineworker Technology Instructor Bobby Mitchell was very pleased knowing Godino would be in the field helping others and saw it as a perfect learning opportunity. NPEC is ready to welcome Godino as a full-time employee and looks forward to seeing him growing with the company. “We love Logan, he has been one of ours his whole life,” said Jennifer Roberts, manager of finance and benefits administration at NPEC. For more information about Texas State Technical College, log onto tstc.edu.